All summer long, I look forward to the end of the hot sweltering season. The heat, the unstructured days, the heat (yes, I count it twice because it’s my nemesis) really bog me down and get in the way of my productivity. I long for cool breezes coming through the windows at night, crisp mornings where you can see your breath in front of your face, and the weather that welcomes a hot cup of coffee and the excuse to turn the oven on, just to cozy the place up a bit.But now that fall is here, I’m desperate for time to slow down. I want to savor the season, draw out each and every apple and pumpkin treat. I don’t want September to be over already, it just started! Where has this month gone? I feel horribly behind on my baking and when I got asked to share a dessert at the Buddy’s school for a faculty luncheon, I jumped at the excuse to bake a warm, fall treat. In the effort to not prematurely exhaust apple and pumpkin laden desserts, I turned to another autumn love of mine for inspiration: Chai tea lattes. Yes, it’s true. I do drink something besides coffee. In fact, I quite love a cup of tea, and during the fall I am even known to enjoy hot caramel apple cider and a chai latte or two. The warm, sweet spice of chai is perfect this time of year. 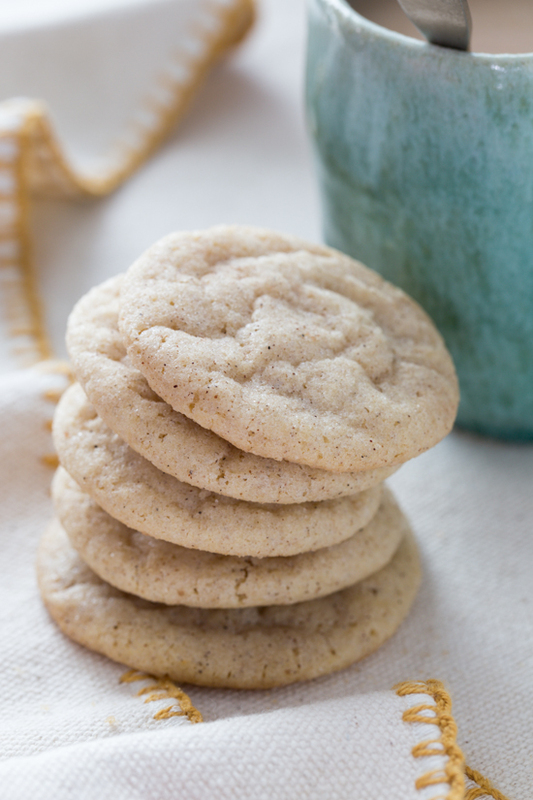 It was those unique chai spices – cinnamon, ginger, cardamom and allspice – that I added to a traditional snickerdoodle cookie to make these sweet and spiced chai spice snickerdoodles. The results were wonderfully sweet and satisfying. Soft, chewy, sweet and spicy. Perfect with a cup of coffee or tea – or in my kids’ case, hot chocolate. The kiddos loved them, which I always consider a victory. A beautiful autumn cookie, indeed. Happy Monday (and last day of September)! In a medium sized bowl, mix together sugar, cinnamon, cardamom, ginger and allspice. 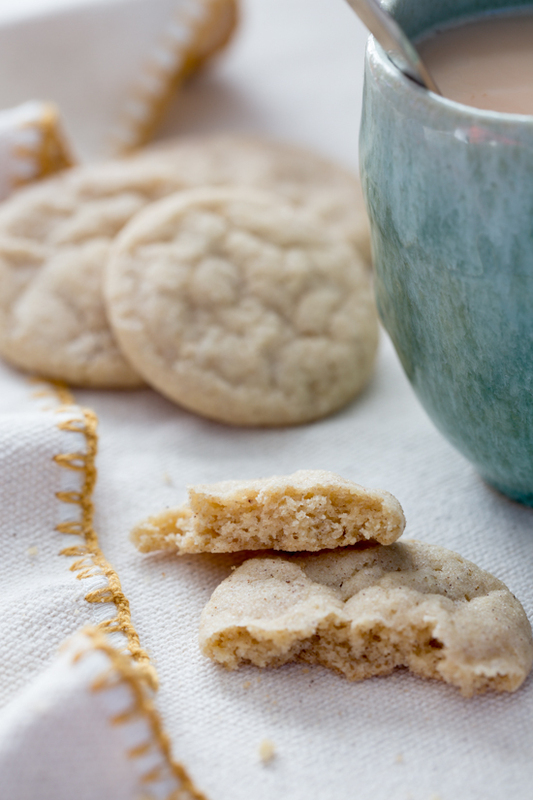 Remove 1/4 cup of sugar mixture to a shallow bowl for rolling cookies. In a the bowl of a stand mixer, cream together butter and remaining sugar mixture until light and fluffy. Add egg and vanilla and mix until incorporated. In a large bowl, whisk together flour, baking soda, cream of tartar and salt. With the mixer on low, add dry ingredients to butter mixture until just incorporated. Scoop dough into small balls (about 1/2 tablespoon of dough) and roll in reserved sugar/spice mixture. Place balls on baking sheet and bake for 10-11 minutes. Transfer cookies to cooling rack to cool completely. LOVE Chai!! This has to be one of the best cookie recipes ever!! UGH. Spring is just starting here in Australia, and already the heat is killing me! And this heat! It’s the worst. I will just stare at this post willing myself cool. 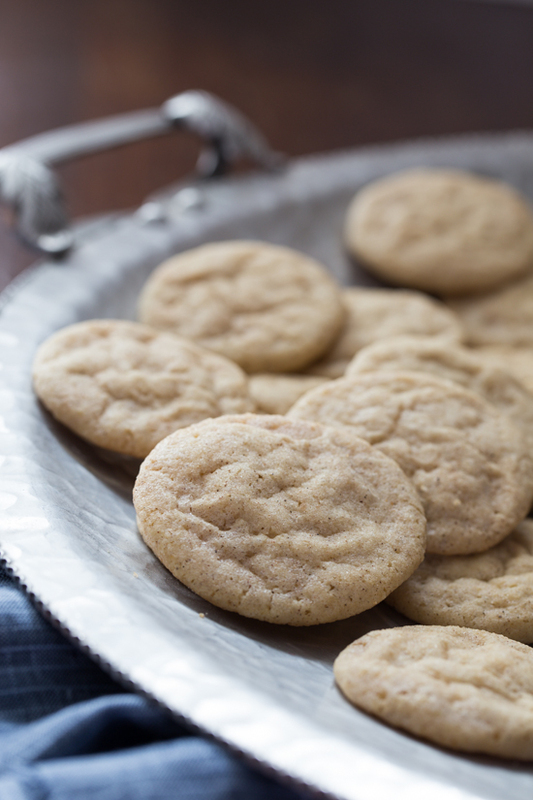 Snickerdoodles are one of my favorite cookies, but I never make them. You have bumped up the recipe a notch by making them Chai, which is another favorite of mine. It is the perfect snack break. Ooh I fancy a cup of chair right now, they look lovely. Now I’m craving Chai and I really need a batch of these cookies all to myself!! There is something about chai in the fall, isnt’ there? I’m so glad you like the looks of these! Thank you so much for stopping by!! Ok, this is the 2nd snickerdoodle cookie I’ve found today that I HAVE to make. The addition of chai….genius! Can’t wait to try! I’m so glad you like the looks of these, Kelly! I have to say, when I was rolling them in the spices, they smelled so good! I love an unexpected twist on spices 🙂 Thanks for stopping by! I hadn’t heard of cream of tartar before this recipe, so I google’d it and it is not to be available for purchase in Sweden. I increased the amount of baking soda a little bit to compensate, which went fine. Made these today and they were a huge hit! 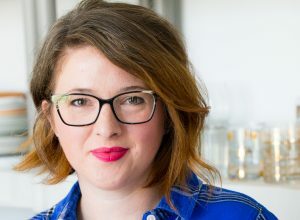 Only thing–I can’t find a bake temperature with this recipe, or am I missing something??? Baked them at 350~ for about 12 minutes. Thanks so much for sharing! Where is the Chai in the ingredients? Hi Reba, the combination of spices in the ingredients are the same spices that are found in Chai tea. There is not actual tea called for in this particular recipe. Thanks for stopping by!